A legacy of international success buoys the Japanese teams. The mood in MUD’s huddle was somber as the 2017 All-Japan Club Championships wound to a close. For years, the MUD women had defined Japanese women’s club ultimate, beating the Americans to take the gold medal at the World Championships in 2012 and frequently representing Japan in tournaments overseas. Inside the country, MUD stood with two other clubs–Huck! from Tokyo and UNO from central Japan–on a tier above the rest. For more than a decade, those three teams had monopolized the national championship, but last year, MUD found themselves on the outside, finishing a shocking 4th. Had they lost their way? Foreigners have trouble distinguishing Japanese players, much less team styles or “ways.” As one Ultiworld author put it, Japanese players often seem like just another cog in the machine. One reason for this perception is that MUD’s exposure on the world stage means that foreigners see it as symbolizing Japanese women’s play more generally. Inside Japan, though, the field looks different. As MUD captain Yamaguchi Yukie (#0) put it, “UNO and Huck! want a system where each player can play their best, but we want a system that puts the team first and individuals’ preferences second.”1 She and her teammates work, she continued, to build shared understandings of how everyone should move through repeated motions and set plays. UNO captain Kanai Yu (#0) agreed with the contrast, saying that UNO’s priority was making sure that each player has fun doing what they want to do. MUD’s style is its own, not a generic Japanese one. UNO had won the All-Japan championships for the past several years. Then, in 2017, Huck! won and MUD dropped to fourth after its consolation game defeat at the hands of upstart Swampy Burg (also from Tokyo). UNO returned to the top of the heap with a win this past weekend at the 2018 All-Japan Nationals. Has the Japanese game moved on and left MUD behind? Like most Japanese club teams, MUD does not have a coach. In- or out-of-game, important decisions are left to discussions among the players and a rotating captaincy. Unable to reach a conclusion about a team direction, they decided to leave it on the field: the 2017 US Open would be a trial by fire. If their system still worked against the top teams in the world, then they would return home with their faith restored. If it didn’t, they would go into the wilderness. UNO, on the other hand, came to Minnesota in a buoyant mood. Yes, Huck! beat them in the finals a year ago, but they had qualified for the upcoming World Club Championships and Chukyo University was the reigning All-Japan Women’s College Champions. Historically, Japanese club teams formed as alumni teams from individual schools. In the early 90s when I played in Japan, these “OG” and “OB” teams (from the English “old girls/boys”) rigidly stove-piped players, even if they moved to distant cities. The Buzz Bullets are an important exception, as a company team formed by (of all things) a shutter manufacturer. In their early days, MUD was dominated by graduates from Nihon Sports Science University (NSSU) in Tokyo, and UNO by graduates of Chukyo University in Nagoya. Since then, teams have diversified (only five players on the current MUD roster hail from NSSU, or example). UNO draws top players from across Western Japan, some coming two hours or more for practice every weekend. Still, it’s not hard to imagine them celebrating how Chukyo students went to the capital and beat Tokyo’s best. So even without their top handler Imamura Tomoko, who couldn’t travel with the team, the UNO women were upbeat. With so little international history, their goal for the US Open was to learn about American ultimate first-hand as they looked forward to 2018. For Japanese women’s teams, the experience is crucial. The junky defensive look that they are known for internationally isn’t as common at home; it’s an adjustment to the greater size of American players. Against domestic opponents, they feel confident switching looks, playing tight match-up defense when required, so they have to prepare differently. And for offenses that rely so much on breaking the mark, preparing for American players’ wingspan presents its own set of challenges. At practice, they simulate it with a mark holding a disc in each hand, but that can’t match the real thing. In their first game, against Showdown, MUD certainly got a Texas-sized dose of America. The Japanese women’s inside break offense was grinding out points, but inevitably, it seemed, Showdown would throw up a floating huck for their tall receivers to pull it down. In the end, the Japanese women’s tireless cutting wore down the Texans for the win, but their self-doubt remained, especially after being blown-out by Traffic in the next game. The first real test came playing against Medellín Revolution–the eventual women’s division winners. Both offenses dominated: Revolution couldn’t stop MUD’s inside game, but on offense the Colombian stars were uncoverable. The game was hotly contested throughout, with MUD taking a lead going into half, and Revolution mounting a comeback that brought it to double game point. Unfortunately, the game highlighted a difficulty of international play. On double game point, an odd series of events occurred, where the Japanese thrower poked the Revolution mark in the face, downfield players on both sides stopped moving, there was a pause, then the thrower released the disc and it was blocked.2 Was there was a call? Clearly something had brought play to a halt, but was it a foul call? If the thrower misheard, then the turnover would stand. The Japanese players said it had been; the Colombians said it hadn’t. The only thing that was clear was that no one knew quite what had happened because the initial incident had not been understandably communicated. The observer did what she could, but faced with such a Gordian Knot, she ruled it a contested call and returned the disc to the thrower. The Japan Flying Disc Association does not use observers, only game advisors like WFDF. 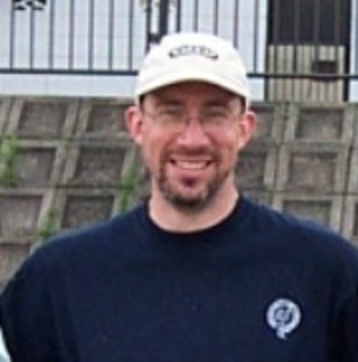 Unlike trained observers in America, Japanese advisors are most often college student volunteers, and club players don’t hesitate to disregard their “advice.” For better or worse, this leaves players unable or unwilling to deal with American observers strategically, and as one of them told me, most of their memories of observers are bad. MUD didn’t turn it over again, and went on to beat the Colombians 16-15 in a thrilling finish. At this point in the tournament, the Colombian’s true strength wasn’t yet clear, but the women on MUD breathed a sigh of relief. Perhaps all was not lost. Meanwhile, UNO hadn’t fared as well. Playing their first two games against Riot and Fury would be a daunting task for any team, and UNO predictably struggled. I was struck, though, at the differences between the two teams. Where MUD stuck with their offensive scheme of short passes (though Shimada Risa [#77] did have some of her trademark pinpoint hucks) throughout the tournament, UNO used comparatively fewer swings and went deep earlier, especially off the arm of Fukuoka Nagisa (#19). Against Riot they kept it close while they stayed with their short game, but too many of their long passes were dropped or blocked and Riot took control. At the same time, UNO played a more clear-cut division between handlers and cutters. With Imamura missing, Fukuoka shouldered the lion’s share of the responsibility for throwing forward, and she rarely left the backfield except to slash forward to catch inside breaks directly in front of the thrower. In contrast, MUD kept both positions downfield and expected cutters to make the same kinds of throws handlers did. In part, this was the product of the no-dump vertical stack played at their founding alma mater NSSU, but I wondered how much it reflected a tendency to see temporary roles rather than players. That style demands a uniformly high level of thrower skill, which made for some amusing moments. Over and over again, American players would almost get a D, and their sidelines would erupt in choruses of Ooohs and Ahhhs. The Japanese sidelines, in contrast, remained unperturbed. When I asked, MUD’s trainer shrugged. Playing against other Japanese teams, he said, they expect the defense to always be that close. MUD’s trial was just getting underway, however. In the next two games they matched up against Molly Brown and Brute Squad. Curiously, neither team took advantage of their height mismatches as often as Showdown had, though as with most US-Japan women’s games their average yards-per-throw was noticeably higher. Both games were tight throughout. Against Molly Brown, soft cap forced double-game point at 15-15–MUD’s second of three DGPs at the US Open. The Japanese women had chances, but in the end they fell to a 2-2 record in an especially spirited match. The story against Brute Squad was similar, with MUD facing a 12-12 tie at soft cap. Once again, they came up just short. After this, the consolation bracket seemed like something of an afterthought. MUD lost to Scandal by two and Heist by one to finish 8th after being seeded 12th. UNO beat Iceni again in consolation to take 11th, and the team finished upbeat, joining us to cheer on the U20 Girls Warhawks as they beat Colorado Cutthroat. Kanai was pleased that her team met its goals, gathering international experience and taking the opportunity to study American defenses. We’ll see you in Cincinnati next year, they said happily, as they handed us all the leftover Japanese food they’d brought with them. Yamaguchi was more pensive. Americans are taller and more athletic, she insisted. To win, Japanese teams have to play differently. At Sakai in 2012, the MUD players won with an offense that caught Americans unprepared. But American teams replied with defensive innovations of their own, and at the 2014 Club Championships, it was the Japanese women’s turn to be caught flat-footed. Now it’s Japan’s turn to innovate again, and she wasn’t sure they were ready. Still, she radiated a quiet pride as she took off her cleats after MUD’s final loss and talked about her team. They did what no one else could and beat Revolution. They took Molly Brown to DGP and Brute Squad to 12-12. In short, MUD’s way of playing still held its own against the top teams in the world. MUD’s 4th place finish in the All-Japan championships meant that, at the time, it looked like they wouldn’t qualify for WUCC 2018, but Yamaguchi had made peace with that. She and her teammates had undergone their trial by fire and survived. They eventually did claim a spot, thanks to other teams declining bids. This past weekend, MUD finished in 3rd place at the 2018 All-Japan Championships. They lost by just one point to the eventual champions UNO, 11-10, in the semifinals, easily the closest game UNO had all weekend (UNO defeated 2nd place finisher Huck! 14-11 in the final). Those three teams — and fourth place finisher Swampybarg — will all compete at WUCC this coming week in Cincinnati. MUD is ready to rise again, carrying the same spirit that has carried them to victory so many times before. George Ehrhardt coaches a girls high school team in the mountains of Boone, NC. Comments on "Japanese Women’s Teams Eyeing Success At WUCC"